For latest updates please see links to Facebook etc. above. Thankyou. The Baden Powell Project is the restoration and public use of a unique and marvellous fishing smack. She is unique – the only double-ended vessel of her type in existence. The plan was a restoration, but extensive rot meant a rebuild. Even with Heritage Lottery Fund support she needed more money from local people to bring her to sailing condition. 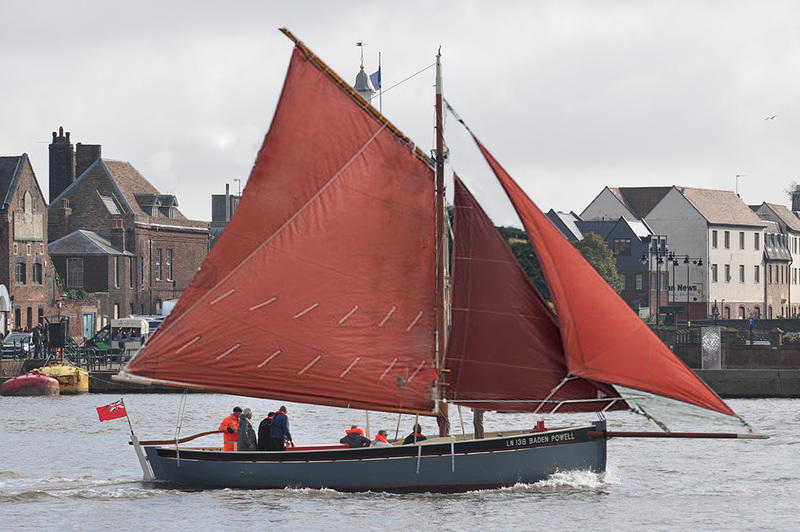 She is now seaworthy, on the waterfront of King’s Lynn, Norfolk, and busy doing summer cruises in the River Great Ouse and The Wash. 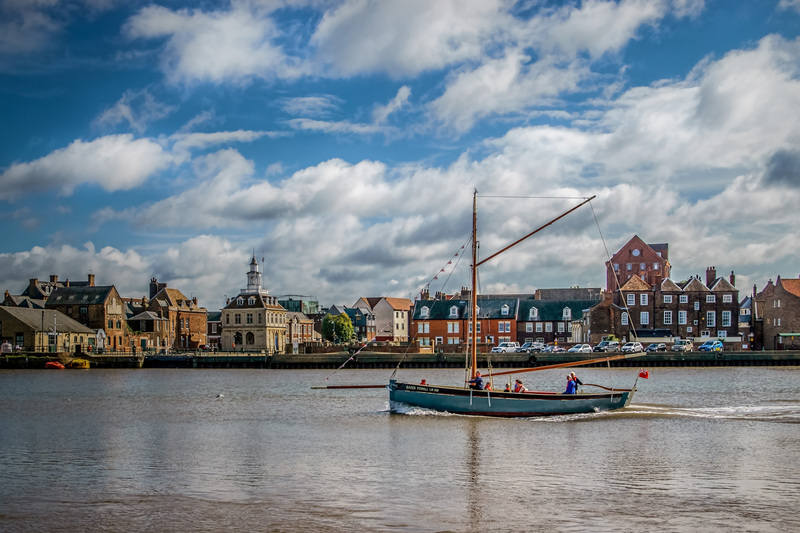 Volunteers of the King’s Lynn Worfolk Boat Trust spent a decade building the new Baden Powell and have saved an important part of the heritage of King’s Lynn. She is now used to tell passengers about the town’s maritime history of fishing, trade and exploration, using the river as an unusual perspective. Money is always needed to finance the sailings and subsequent maintenance programme. Do you have any personal interest in boats and fishing, or any friends that may be able to help? If so contact us and offer your support. The Baden Powell was built in 1900 in a boatyard on the River Nar by Walter Worfolk. It is a double-ended cockling boat. The Cooks were so pleased with the workmanship that they gave Walter an extra fiver, and presented his wife Lily with a cruet set for the table. Walter’s sons, Gerald (10) and William (8) at the time, were soon apprenticed to their father and continued building wooden boats in Lynn until 1981, when Gerald died. William lived to just past his 100th birthday in 1994.